I’ve got a day job. I love writing books, but it takes a while for the books to pay all the bills. But even with that, I’ve got to admit that I love my day job. I’ve been working in the financial industry for more than 15 years now. I love reporting about what’s happening on Wall Street. I love uncovering interesting ways to grow and preserve their wealth. I’ve been with the current company for roughly three years and I have met some truly amazing and crazy people. I’ve also got an amazing team that I absolutely adore. And it doesn’t hurt that the company I work for sticks me on a plane occasionally. 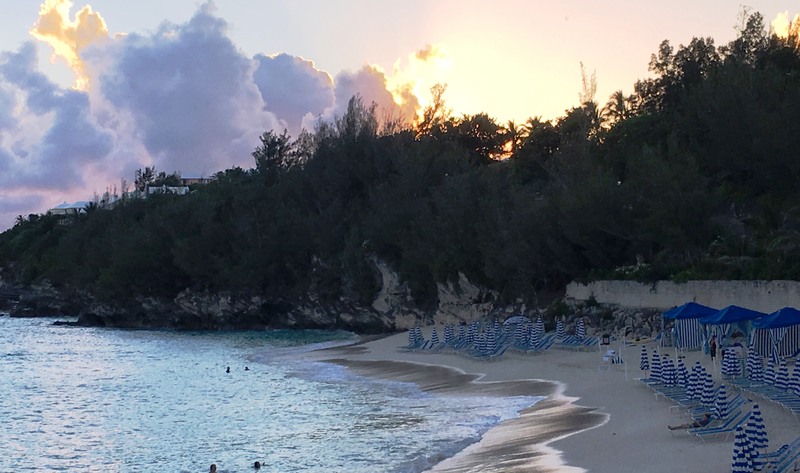 During the past three years, I’ve been to Panama, the Bahamas, Uruguay… and now Bermuda. Of course, at the time of the travel, I’m working conferences so I don’t get out of the hotel too much. But I have gotten to see some sights. So….. today I thought that I would share some of the pictures that I’ve managed to take while I’ve been here. 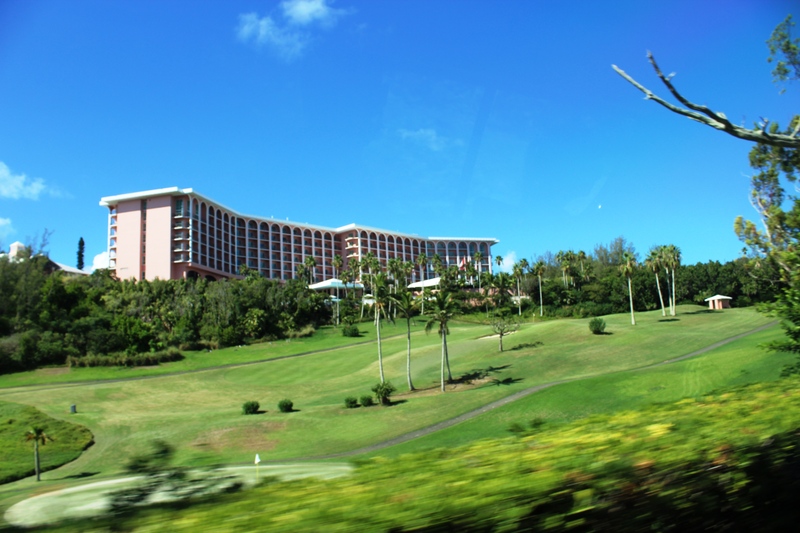 The picture on the left is the hotel that we’re staying in – the Southampton Fairmont. One thing that I learned very quickly is that Bermuda is incredibly hilly. The only flat land is the man-made land that is occupied by the airport. The rest of the chain of connected islands is filled with narrow winding roads heading up and down these hills. 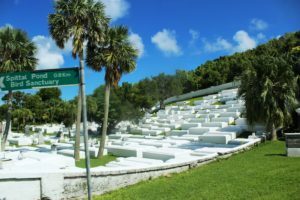 I’m guess due to the high water table all the people are “buried” in these adorable crypts similar to what I found in one of the cemeteries in Savannah. After my travels to Uruguay, I have developed a love of lighthouses. 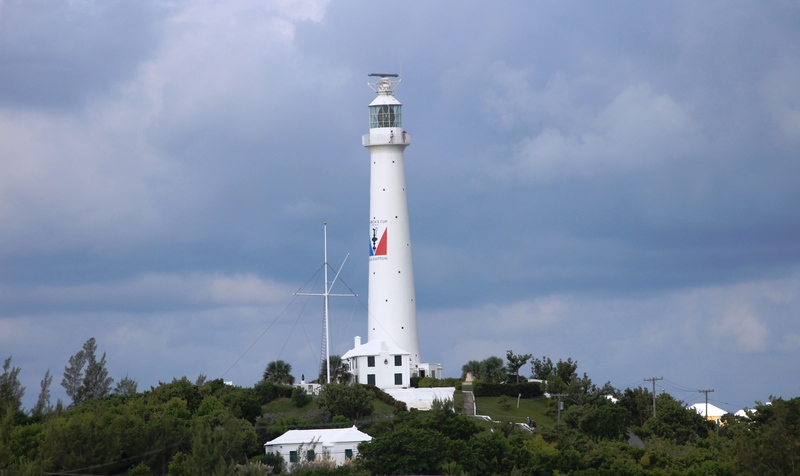 I was lucky enough to spot the lighthouse in Bermuda from my own hotel room balcony. I heard there’s a very nice restaurant near the lighthouse, but I don’t think that I’ll be able to get over there to check it out. It’s the last day of the conference for me so I’m hoping to spend some time at the beach. 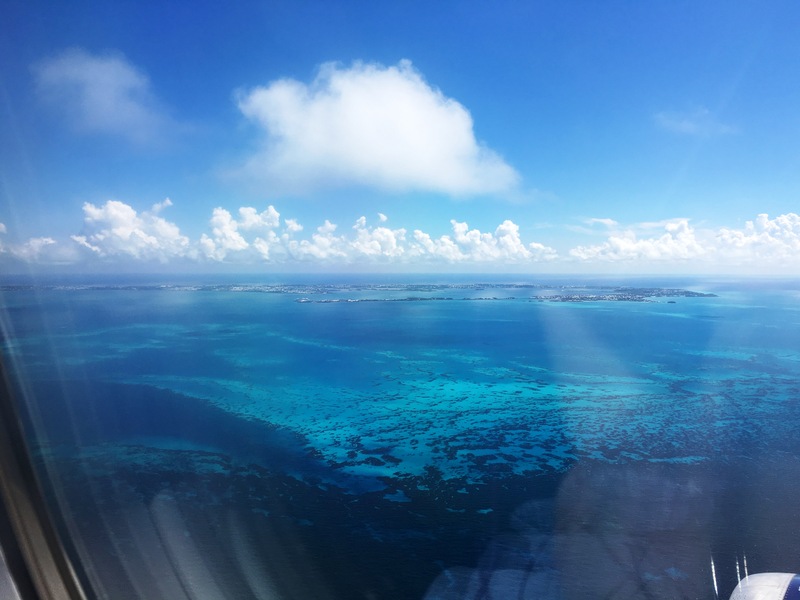 One of my favorite things that I’ve seen since coming to Bermuda is the blue of the water. 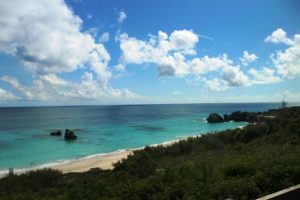 It’s just a lovely deep blue that is punctuated by a lighter turquoise from the two different coral reefs that surround the islands of Bermuda. But without all the pirates and shipwrecks, Bermuda is a lovely, romantic place. I think I can imagine Lucas and Andrei or Snow and Jude … or maybe even Rowe and Noah stretched out in the lounge chairs on the beach, soaking in the sun, and listening to the waves crash against the shore. 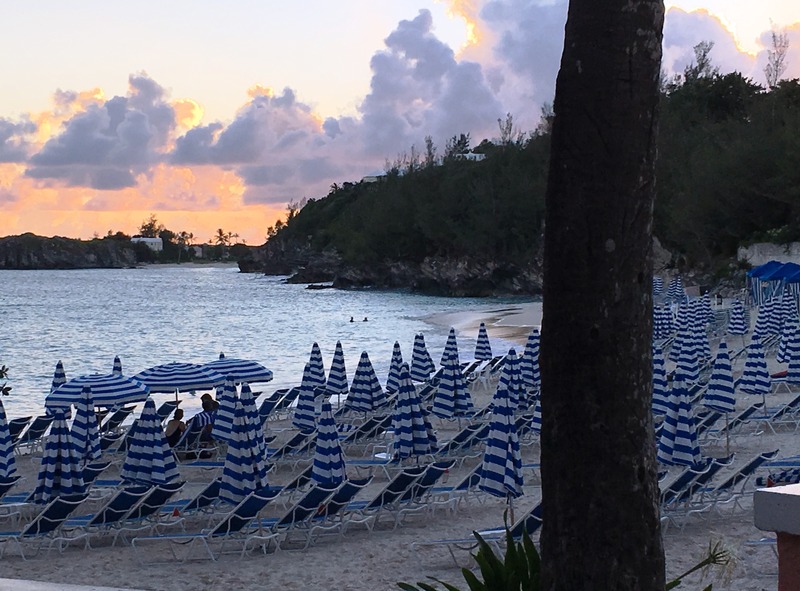 Yeah… I think we might need to send the Unbreakable Boys on vacation after all the adventures are over. They’ve earned it.